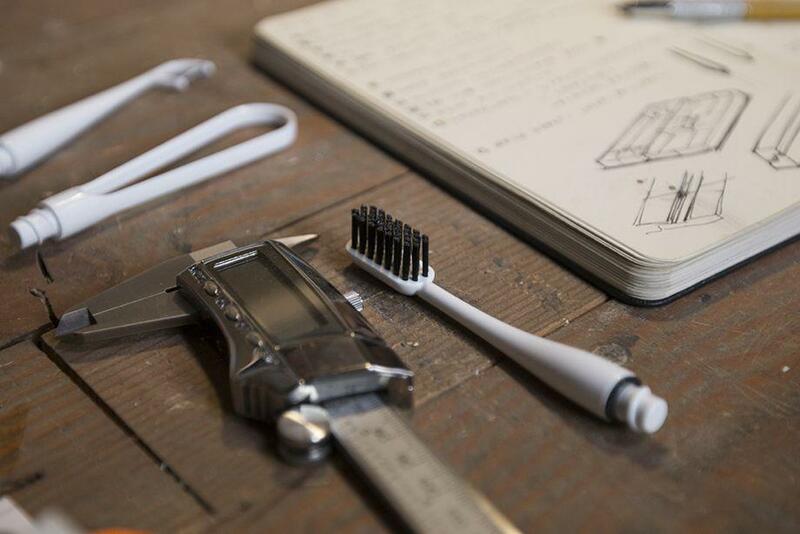 The Goodwell Company toothbrush by Patrick Triato is engineered to last forever. 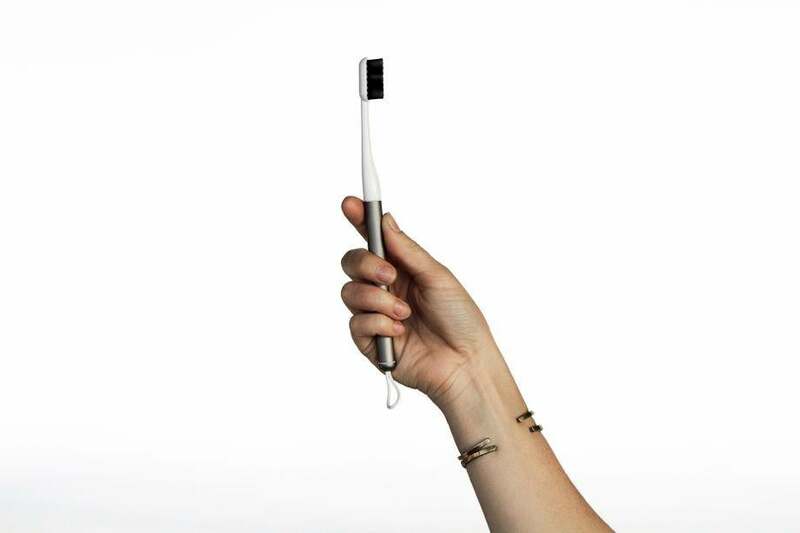 Is This the Last Toothbrush You’ll Ever Need? 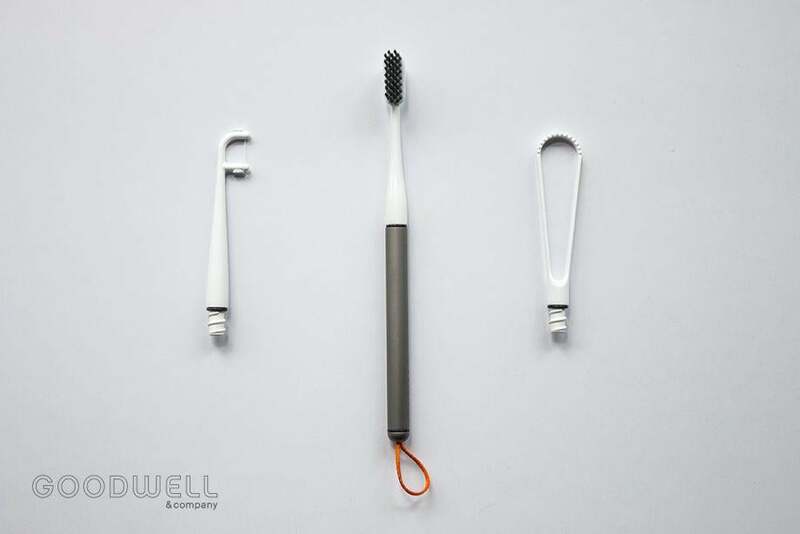 The Goodwell Company toothbrush is designed to last forever. The average person will use up and throw out some 300 environmentally unfriendly toothbrushes over a lifetime, producing hundreds of pounds of plastic waste. 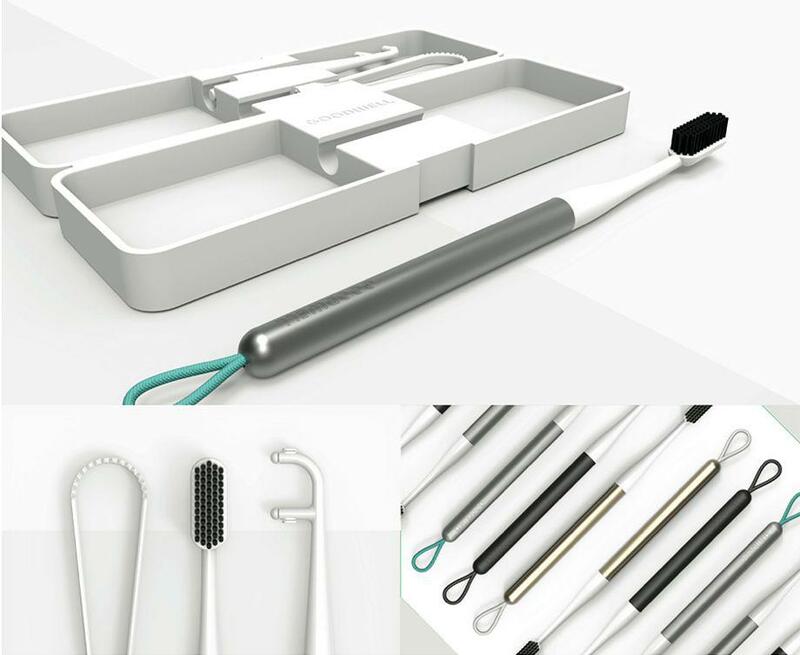 Engineer and industrial designer Patrick Triato of the Portland, Oregon–based Goodwell Company has developed a new product to change the way that people buy and use toothbrushes. Brush attachments are biodegradable and compostable. With a base made from medical-grade aluminum, compostable brushes made from biodegradable charcoal fibers, a flossing attachment, and a tongue-scraping attachment made from bamboo composite, the “toothkit” includes a subscription service that delivers a new attachment each month. The kit comes with flossing and tongue-scraping attachments. Successfully funded on Crowd Supply last week, the brush includes optional open-source features for programmers and hackers who want to design or develop their own attachments or share ideas. And it comes with an optional internal tracking device for obsessives who want to collect data on their oral health care habits. The kit includes a washable silicone case. The brush has a sober design and comes in a natural aluminum, black, or gold finish that is a far cry from your average fluorescent plastic toothbrush design. Based on market research in which people oddly requested that the toothbrush include storage, it includes a secret compartment built into the handle to hold aspirin, matches, or possibly a time capsule where you can leave letters to the people of the future if the handle is as durable as the company claims. But what about those of us who have made the switch to battery-operated brushes? May the Goodwell Company’s next product be a more eco-friendly, solar-powered toothbrush with compostable heads.